10 Years Of Network Depot! I was a bit dubious this morning when Chris asked me if I wanted to join in on an office party today. April 1st is a scary day to do anything in the office, but it turns out that it is indeed true. Network Depot turns 10 years old today. The journey has been a long one. While the company has always been a success, there have been a lot of lessons, pivots, and other changes. We really picked up traction in the last five years and have reached some impressive milestones. Since 2005 we’ve handled well over 100,000 tickets. Virtual Administrator has helped to launch and grow over 2,000 different MSPs from all over the world. 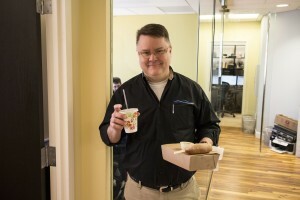 Chris Amori caught with a celebratory lunch in hand. 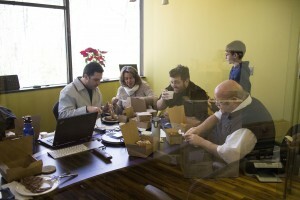 At its inception, Network Depot was five people strong. But today we’ve grown to a modest 21 people. While we keep things very stream-lined and make a lot happen with very few people, we’ve really had the chance to allow automation take over. When Virtual Administrator first launched in 2007, it would take us a good 30 minutes to configure a new client. Chris Amori has recalled to me in the past about how he used to be up until 1 or 2 in the morning just adding new clients into the system. Today, with the power of automation tools, we’ve reduced that down to a couple clicks. With the release of ClubMSP, we’ve been able to reach a much wider market with our Kaseya automation and training. I can’t even begin to estimate the number of hours that our script library has saved for MSPs around the world. 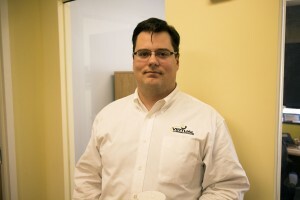 Kyle Metzer, the latest addition to the Virtual Administrator team. 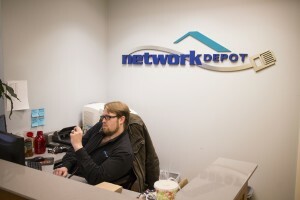 Network Depot’s team has been equally as busy and have been rapidly growing in the DC area. We went from no sales people to having an entire sales team which has been kicking it. Not only that, but our tech staff has grown significantly. Now we have three rooms in our office dedicated exclusively to our helpdesk team and more people spread all over the DC metro area doing on-site work. Quite an achievement to be sure. Looking forward at Virtual Administrator we’re putting more focus on solving small problems for our partners. Managed services, for all of its automation and recurring revenue, is still a business of problem solving. Your client has an issue and you, the MSP, are there to solve it. Even if it is done on an all-you-can-eat contract. Making it easier to solve those problems is our mission and why we have been working so hard on the script library. From right to left: Shreyas, Nathelie, Rich, Richmond, and Gary. Network Depot is working to grow their customer base and systematize. They’ve done a fantastic job of standardizing their service to make it more uniform across their clients, and now they just need to throw new clients into the mix. Join me in congratulating our team leads, Chris Amori and Rich Forsen on a job well done. We’re looking forward to 10 more years of success and taking all of you along with us!